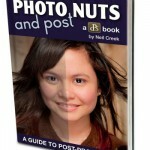 Will “Photo Nuts and Post” Improve Your Images? Will “Going Pro” Help You Make Money From Your Photography? Should You Let Anna Gay Put You In the Picture? Should “Captivating Color” Capture Your Cash? Is “Photo Nuts and Shots” Right For You? Sign up now to get emailed news as well as other Travelsignposts updates!